Speaker of Parliament Rebecca Kadaga visits Hon. 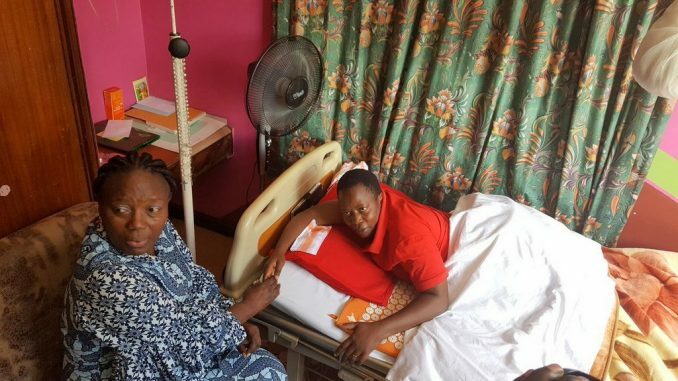 Betty Nambooze who was admitted in Bugolobi Medical Centre. A British Member of Parliament, Dr. Paul Williams has raised concerns over the torture of Mukono Municipality MP Betty Nambooze. 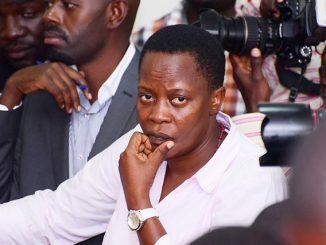 Nambooze was arrested early June following her deemed offensive post on social media in the wake of the gruesome murder of Arua Municipality MP, Ibrahim Abiriga. Betty Nambooze who was under arrest spent much time bedridden at Kiruddu Hospital under police watch. 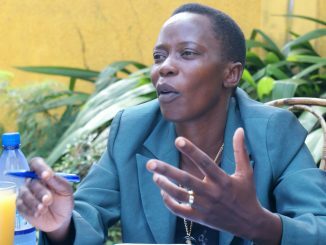 Betty Nambooze was granted police bond on Wednesday to fly to India for medical treatment. Williams says he lived in Uganda for four years prior to becoming a British MP and witnessed many of the difficulties and torture that Museveni’s critics go through. “My criticism of Museveni has brought me to the attention of media in Uganda and as a result, I am contacted from time to time by those concerned about the situation in Uganda,” Williams says in a letter dated 29th June. 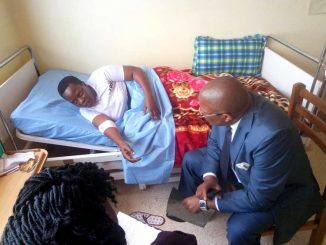 “Betty was one of a number of Ugandan MPs who were assaulted when Ugandan special forces raided the Ugandan Parliament on 27th September 2017 during a fractious time when the removal of presidential age limit was being debated…Bones in her back were broken during the raid and she underwent a spinal surgery afterward. She has subsequently been arrested for a social media post,” Williams further said. Williams said he had contacted American writer Hellen Epstein who gave him details of Nambooze’s situation. “I have enclosed the details provided by Ms. Epstein,” he says without divulging the kind of representation she wanted the British government to offer Betty Nambooze. Williams earned popularity in Uganda’s opposition circles when he took a swipe at Museveni in April. In a brief address during the UK Parliament session, Williams asked the British government to use the opportunity of the Commonwealth heads of government meeting (CHOGM) that was convening in London to tell Museveni to retire.